Can Tax Refunds be Intercepted When a Parent Doesn’t Pay? Posted in Child Support, Children, Family Law | Comments Off on Can Tax Refunds be Intercepted When a Parent Doesn’t Pay? 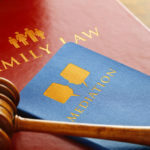 If a Father is Unwed, Can They Receive Child Custody? 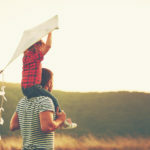 Posted in Child Support, Child visitation, Children, Family Law, Parental rights, Paternity, Unmarried Parents | Comments Off on If a Father is Unwed, Can They Receive Child Custody? Is Divorce Always Financially Fair to Both Spouses? Posted in California law, Conflict Resolution, Divorce, Family Law, Hidden assets, money & property, Property division | Comments Off on Is Divorce Always Financially Fair to Both Spouses? Could Your Spouse be Hiding Assets From You During Divorce? Posted in Hidden assets | Comments Off on Could Your Spouse be Hiding Assets From You During Divorce?